As Our Magnificent Trees Wake Up this Spring, Let’s Greet them with some “Good-Lovin’”!! Your Spring Flowering Trees are just BEEEEEEAUTIFUL!! NOW PRUNE AND FEED THEM!! We are surely blessed in the Charlotte area. We get to transition from frigid weather one day to seeing beautifully blooming trees the next. The best time to prune these spring flowering trees is just after they bloom. Pruning during this time will promote healthy new growth, keeping those spring beauties in excellent shape for years to come. Spring is also an excellent time to have your trees Crown Cleaned, ridding them of unsightly dead, diseased, and damaged branches. Spring is the time for pretty new growth and buds, not ugly old dead and dying branches. Spring Fertilization is an excellent way to help struggling trees and keep healthy ones in good condition. Fertilizing your trees in the Spring is kind of like providing them with an extremely nutritious breakfast. AAA Tree Experts Deep Root Stress Relief Formula provides an abundance of nutrients that trees will take full advantage of during their spring growth flush. We offer a “fertilization cocktail” that provides a low nitrogen fertilizer with several organic ingredients that are hugely beneficial to landscape trees. 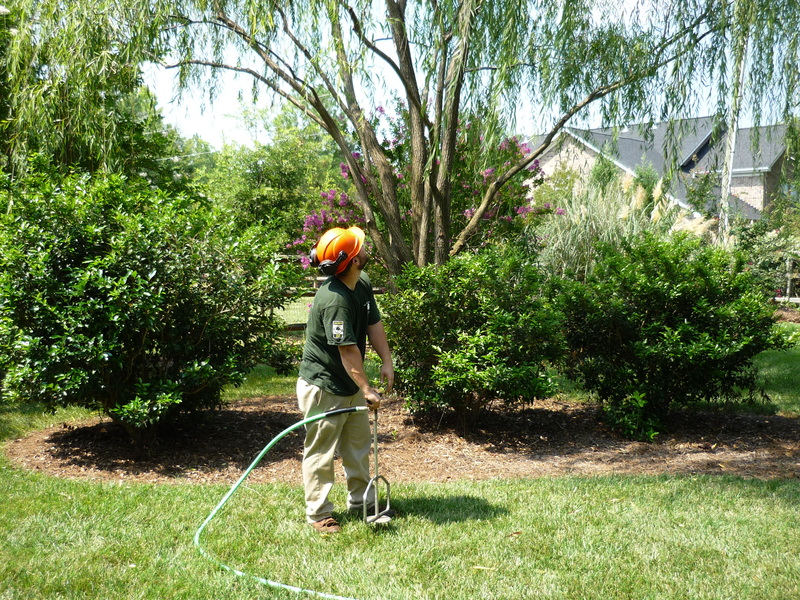 AAA Tree Experts is well equipped to handle your spring pruning and fertilization needs. We have Certified Arborists on staff, professional climbers, and an extremely advanced Plant Health Care Program that includes Deep Root Fertilization, Trunk Inoculation, and more. If you want to ensure the health of your trees this spring, contact us for a free estimate. We’d be thrilled to come help you give your trees some “good-lovin’” this Spring!! Visit AAATrees.net or call 704-366-1134 for more information.